One of the things that bugged me the most about these Nikki Heat books has always been the summary blurbs--they always try so hard to be exclamation point, and "Big Awesome Words!" worthy, that it just sounds super lame. If the ghost writers for Richard Castle put as much effort into the actual crime thriller story outline and plot as they did being meta about the television series, or making the book out to be like it was written by "New York Times Bestselling Author," the books might be more than just serviceably enjoyable. Well, make it two things: I also don't like how over-the-top the writing styles sometimes get. Too deliberate in making out the main character, Nikki Heat, to seem like a super perfect super detective, and too deliberate in singling her out as the only super perfect super detective who ever does anything right. It can get annoying pretty quickly. 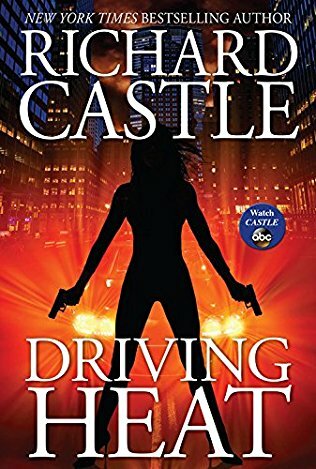 Driving Heat is another installment of the Nikki Heat series that is decently entertaining, but can get a bit tedious in how long it takes to outline a scene, or a few actions that should ideally only require a few words. It also doesn't help that I found the characters and their actions all frustrating, as if everyone was deliberately being difficult to each other just to piss each other off. It made for a lot of unnecessary drama that almost felt childish. I will give the book props on the insights of Nikki's new development in how much more complicated it is to be promoted to a higher position of power than one would have thought. Becoming Captain of the precinct brought to light all the banal, menial work that a leader also has to deal with, like little complaints from all the staff, and mountains of paperwork, tedious meetings, signing service contracts with the vending machine company, and very little time for actual crime fighting. It makes me wonder if Nikki understands how different her role will be now that she's not simply in charge of a small homicide detective squad--it DID get me frustrated each time she would rush off to investigate the murder when what she really needed to be doing was delegating tasks to her team, rather than trying to do everything by herself. The beginning of the book was not a strong start, and the build up was also a bit lackluster. The second half of the book, after the entire NYPD's computer network got hacked, was actually a bit more interesting, but only because it does a pretty good job of putting into perspective how much we, as a society, depend on computer technology and the ease of access thanks to internet resources. I actually found it pretty amusing to see Captain Heat rushing off to the library for some of her sources. HOWEVER, what didn't make sense to me was why everyone made it seem like they were transported back into the pre-internet age when really only the functioning government organizations had been hacked in New York. Apparently all personal cell phones, personal internet, non-government computers were still workable. While understanding that crucial, confidential police investigation evidence and documents couldn't be sent via non-encrypted channels, it seemed a bit extreme that none of our homicide detectives had their own personal laptops or hot spots of which to conduct some of their online researches. Sure, there was no accessing police network documents, but did Nikki really have to rush off to the library to research some of the information she needed to find? Anyway, as I'd stated somewhere, this book actually felt like it was a lot longer than it really is. It even felt like there were more than one story line taking place as the book progressed. And to be honest, without having much interest in watching anymore of the television series, I don't know if I'll be interested in continuing this book series either. Driving Heat is entertaining in some aspects, and if you're a fan of the series (television or book), then it will still be right up your alley. There are continued, and fleeting meta references to the television show, Castle, and even a drop about Firefly and Nathan Fillion every so often. But if you've grown tired of these things and find them more wearisome than amusing... well, this book won't really do much for you. 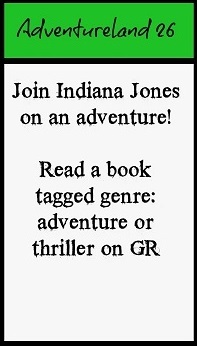 This book is tagged 'thriller' on GR.